The Census form will only display pages 1 and 2 when first opened. To view all sections that require completion, select the relevant checkboxes in Type(s) of education and Student profile. Note: The Student profile cannot be completed until a Type(s) of education has been selected. Special needs students for a site cannot be selected until full-time or part-time students have been selected for that site from the Student profile on page 2 of the Census form. The Census form, due to its complex nature, is designed to work in Adobe Reader. Other generic versions of PDF readers will not work with this form or may not perform as expected. Please ensure you have the latest version of Adobe Reader DC. When opening the PDF document for the first time, a prompt box states that a minimum version of Adobe Reader is required for the Census form. Adobe Reader is free and can be downloaded from http://get.adobe.com/reader/. If a software failure is experienced (see screenshot below), reopen the Census form. 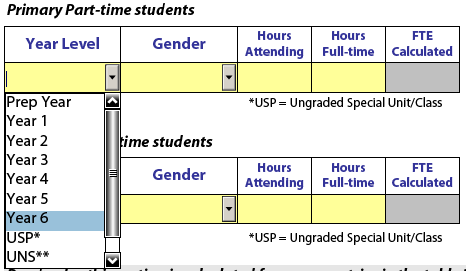 This failure occurs if certain options in the Student profile are selected and later de-selected (for example, Part-time students are selected in error when there are no part-time students at the school). In some instances it may be possible to continue by just clicking OK. If the window continues to be displayed, exit from the Census form and reopen it. 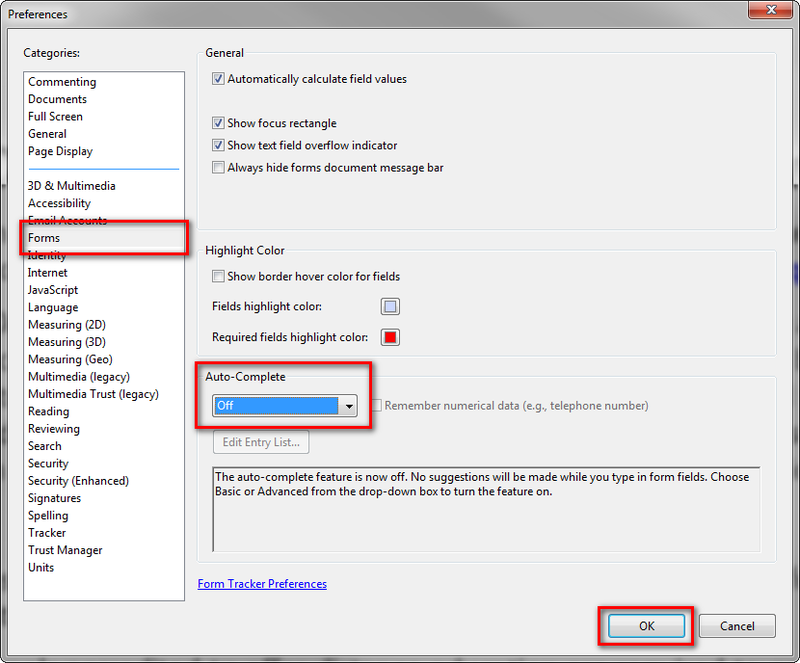 When turned on, Auto-Complete saves a list of text entries used when completing fillable PDF forms. It suggests text from that list as data are entered into other fields. If the first few characters match something previously typed in a field, the feature either displays a list of the most probable matches or automatically enters a probable match. If this feature hinders the smooth entry of data, turn it off. If a drop-down list (that is, in the Part-time students and Students with disability sections) is close to the bottom of the page, it may not be possible to select some of the entries further down in the list with the mouse. Use the arrow buttons on the keyboard to move down in the list and then hit Enter to confirm once the correct item is selected. In the example above, use the arrow keys on the keyboard to get to Year 6, USP or UNS in the list. If attempting to click on the direct link to the PDF form in some internet browsers (for example, Google Chrome) an Adobe Reader error message may appear (see screenshot below). This is due to incompatible browser extensions. Right click the PDF link instead and Save As. This enables the Census form to open in its native application instead of relying on browser extensions. The empty fields should be yellow when the Census form opens. If the empty fields are not yellow, click on the Highlight Existing Fields button.